Richard Sias holds an honorary teaching diploma from Canada’s National Ballet School and the A.I.S.T.D. (CSB) London, England. Richard has over forty-five years of experience as a professional ballet teacher. He is a former faculty member and graduate of Canada’s National Ballet School’s professional ballet program as well as a noted pedagogue within CNBS’ Teacher Training Program. Sias has been a member of the London Festival Ballet (now the English National Ballet), National Ballet of Canada, the Canadian Opera Company, and artistic director of Syracuse Ballet Theater. Richard has performed on Broadway in Camelot, No Strings, and off-Broadway in The Fantastiks. He has appeared on television shows in the USA and Canada, most notably on The Ed Sullivan Show. He served on faculty at the University of South Florida as assistant professor and was invited to join the faculty at Florida State University where he remained for twenty-five years. As senior ballet teacher and director of the Ballet wing of the FSU Dance Department, Richard was made a full professor in 1994. He retired in 2004 to return to the National Ballet School of Canada where he remained until 2010. 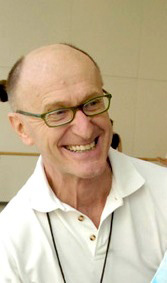 Sias is the founder (1998) and first president of CORPS de Ballet International (1999). CORPS is the only forum and organization of its kind to serve ballet faculty and programs with professional goals and aspirations for students in higher education, universities and colleges, in the US and around the world. At age 70, Richard continues to teach and serve on the dance faculty of the professional trainee program for the Patel Conservatory Dance Department at the David A. Straz, Jr. Center for the Performing Arts in Tampa, Florida.